the repository of these human universals against the background of which different human experiences can be rendered intelligible. The problem with this assumption, however, is that there are limits to Western claims to universalism, mainly because these claims were at the service of the desire to justify imperial expansion. This book addresses issues arising from these claims to universalism in the process of producing knowledge about diverse African social realities. It shows that the idea of knowledge production as translation can be usefully deployed to inquire into how knowledge of Africa translates into an imperial attempt at changing local norms, institutions and spiritual values. Translation, in this sense, is the normalization of meanings issuing from a local historical experience claiming to be universal. 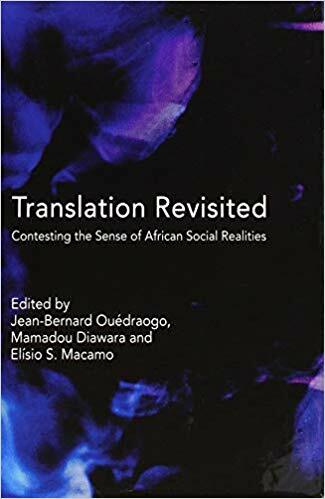 The task of producing knowledge of African social realities cannot be adequately addressed without a prior critical engagement with how translation has come to shape our ways of rendering Africa intelligible.